August 27, 1979-Deputy Sheriff Val Johnson of Marshall County was on duty that night, driving not far from the North Dakota border, when at around 1:40 a.m. he saw a light through his side window. It was obviously not on a road and looked too glaring to be a car headlight. He first thought it might be a small plane on or very near the ground. He turned left on another road to try to get closer to the light to identify it. Suddenly, the light moved toward him, travelling so fast that it almost instantaneously was upon his car (covering an estimated mile and a half). Johnson was blinded by the brilliance of the light and heard glass breaking, then lost consciousness. Bit by bit, Brekke recounted details that baffled investigators, including Honeywell scientists: The patrol car left skid marks of 800 feet. Johnson suffered “welder-type” burns to his eyes from bright lights. The car’s two antennas bent, one at a 90-degree angle, one at 45 degrees. Both the patrol car’s clock and Johnson’s watch stopped for 14 minutes. Johnson remembered nothing during a 40-minute time period. The windshield was cracked, but the force of the damage didn’t seem to come from either outside or inside forces. “Val told me that he knew something happened, but he didn’t remember what it was,” Brekke said. 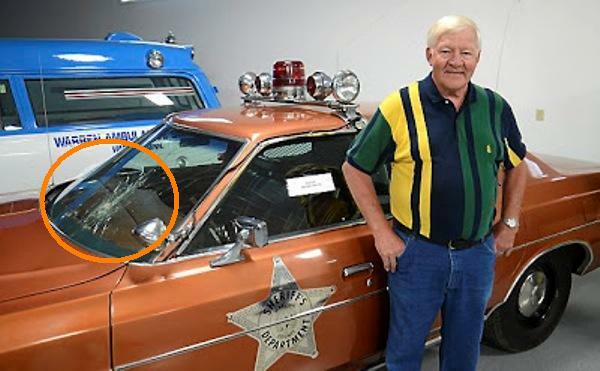 “The last thing he remembered was a big light that came all of a sudden.” County officials wanted the patrol car, a rust-colored 1977 LTD with only 60,000 miles on it, repaired and returned to the fleet. However, Brekke said, he persuaded them to leave it as it was for public consumption. “People like strange and unusual things they don’t understand,” Brekke said. The Warren UFO has resulted in two programs on the History Channel and another in 2012 on the Travel Channel, according to Herald archives. “Some people who come to my talks believe in this and some are skeptical yet still curious,” Lewis said. “Some are hoaxes, planes or satellites, but some are unexplained. I leave it up to the audience to make up their own minds. “Plus, I simply don’t know. After more than 20 years of doing this, I’m left with more questions than answers.” However, 82-year-old Ethel Thorlacius, who has worked at the museum for decades, has witnessed a trend. “At first, a lot of people made fun of it,” she said. “But there’s a different mentality now. 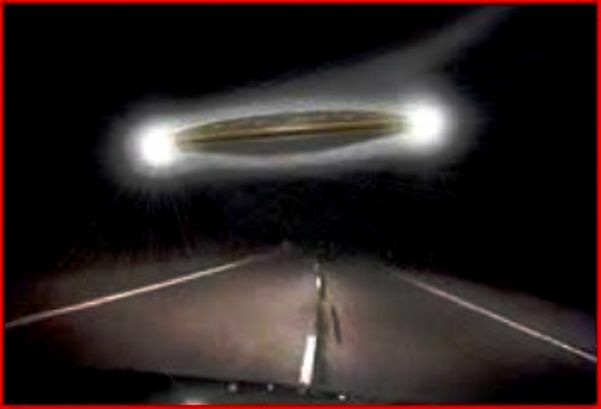 People are much more likely to believe there is something different out there, that we’re not alone.”. NOTE: The above image is a rendering except for the police car photo. Hi could you inform me which blogging platform you are making use of? I’m seeking to begin my personal site on router access very soon although I am having a tough time making a choice. I felt wonderful reading this info and I feel you’re completely right. Inform me if perhaps you are interested in phone number tracker, that’s my major competence. Hope to check back with you soon, take good care! I simply want to mention I am just all new to weblog and certainly loved your web-site. Likely I’m planning to bookmark your site . You certainly have tremendous well written articles. Cheers for sharing with us your blog. I would like to thnkx for the efforts you’ve put in writing this site. I am hoping the same high-grade web site post from you in the upcoming as well. Actually your creative writing abilities has inspired me to get my own web site now. Actually the blogging is spreading its wings quickly. Your write up is a great example of it. Thank you for every other wonderful post. Where else may just anybody get that kind of info in such a perfect means of writing? I’ve a presentation subsequent week, and I’m at the search for such info. fantastic points altogether, you simply won a brand new reader. What might you recommend in regards to your put up that you just made a few days in the past? Any certain? I am no longer positive where you are getting your information, however good topic. I must spend a while finding out more or figuring out more. Thanks for great information I was on the lookout for this info for my mission. Great awesome issues here. I am very happy to look your article. Thank you so much and i’m having a look ahead to touch you. Will you please drop me a mail? What i don’t realize is in truth how you’re not actually a lot more neatly-favored than you might be right now. You’re so intelligent. You recognize thus considerably in relation to this matter, made me in my opinion consider it from a lot of various angles. Its like women and men are not involved unless it is one thing to do with Lady gaga! Your own stuffs great. All the time care for it up! I am really intrigued to know what blog system you have been using? I’m having some minor safety problems with our latest website related to omega xl price and I would like to find a thing a lot more safe. Are there any suggestions? Hey very nice site!! Man .. Excellent .. Wonderful .. I’ll bookmark your website and take the feeds also…I am glad to find so many useful information here within the publish, we want develop extra strategies on this regard, thanks for sharing. . . . . .
obviously like your website however you have to check the spelling on quite a few of your posts. Several of them are rife with spelling issues and I to find it very bothersome to inform the reality then again I will surely come back again. I would like to thank you for the efforts you have put in writing this web site. I am hoping the same high-grade blog post from you in the upcoming as well. Actually your creative writing skills has inspired me to get my own site now. Really the blogging is spreading its wings rapidly. Your write up is a great example of it. magnificent publish, very informative. I’m wondering why the other specialists of this sector do not understand this. You should proceed your writing. I’m confident, you have a huge readers’ base already!